Hardcover New and Signed First UK Edition. Fine condition. 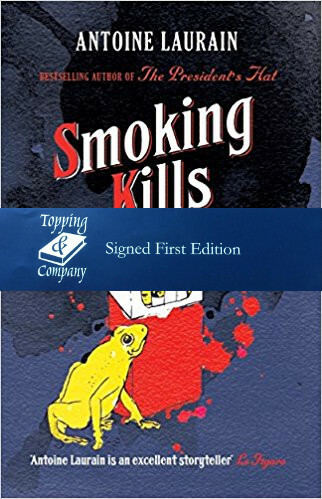 In Smoking Kills, Antoine yet again returns to the question of what happens when a man makes a stand against social norms. Turning conventional wisdom on its head, Antoine Laurain has created the most beguiling and thoughtful of novels.